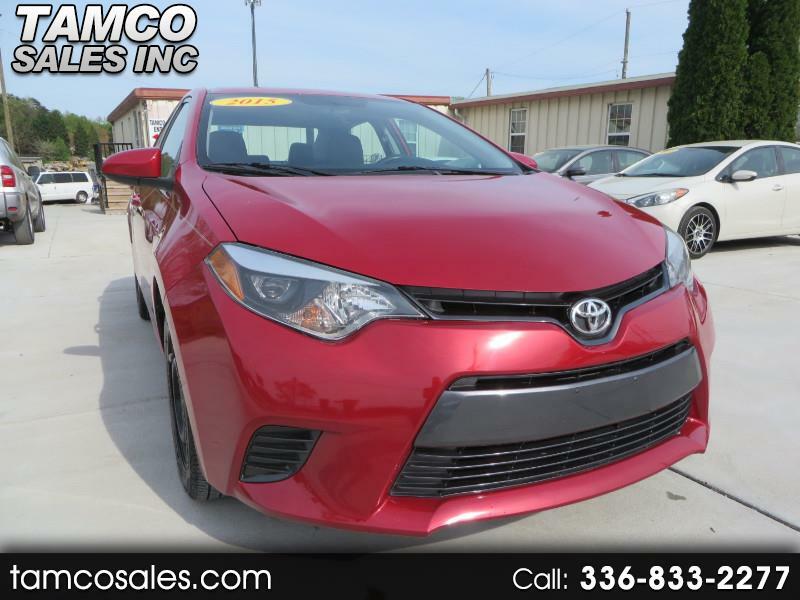 Used 2015 Toyota Corolla LE CVT for Sale in Greensboro NC 27409 Tamco Sales Inc.
For sale is the 2015 Toyota Corolla SE in red with 79689 approximate miles. This Corolla comes with 2 keys and one keyless entry remote, backup camera, bluetooth, and automatic air conditioning. Maintenance done includes 4 new tires, oil change, front brakes and rotors, wiper blades, and cabin filter. There is a hole in the driver area carpet. I ordered fitted rubber floor mats which are on the way to cover it up. Has owners manual, spare tire, and tools. Visit Tamco Sales Inc. online at tamcosales.com to see more pictures of this vehicle or call us at 336-833-2277 today to schedule your test drive.